Former British tennis professional Dan Sanders has been charged with eight offences of sexual activity with a child. 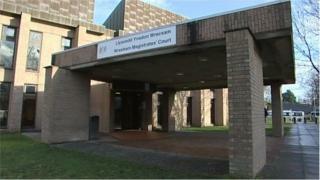 North Wales Police said a 42-year-old man from Wrexham was due to appear before town magistrates on 31 May. Mr Sanders played his last professional game in May 1996, and has more recently been coaching in Wales. The Lawn Tennis Association, the sport's governing body, said it could not comment while police investigated.